The Erdvark Dam Scoop mount on the tractors lower arms and no hydraulics is needed. With the swivel wheel on the back it is easy to reverse for long distances to collect sand and silt from rows. 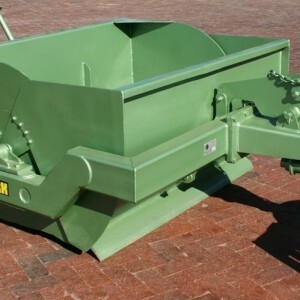 The Erdvark Dam Scoop is ideal for the maintenance and building of dams and roads. Capacity 1 m3 to 1.5 m3. Agricultural models wider-lower body design for laser leveling of agricultural land. The Erdvark EJA Agricultural Ejector Scraper is ideal for the maintenance and building of roads and dams as well as construction of irrigation fields. Heavy duty Agricultural Ejector Scraper with cutting edge integrated hydraulics into rugged body construction. No tipping of load body make scraper ideal for heavy and tuff soils. Ejecting of load over cutting edge ensure level layer of dumped soil. The new EJL Agricultural Ejector Scraper models are wider and lower in body design. 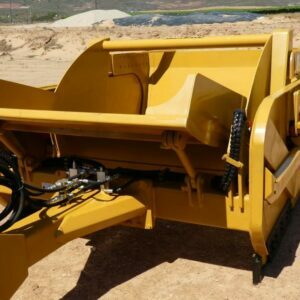 The Erdvark EJL Agricultural Ejector Scraper is ideal for the maintenance and building of roads and dams as well as construction of irrigation and crop production lands. The Heavy duty Agricultural Ejector Scraper have cutting-edge integrated hydraulics for the Ejector built into the rugged body construction. No tipping of the load body makes the Scraper ideal for heavy and tuff soils. Ejecting of the load over cutting edge ensure a level layer of dumped soil. The newly improved split gate gives a better view during operation while loading and offloading soil. The new EJM Ejector Scraper models are slightly narrower and higher in body design. 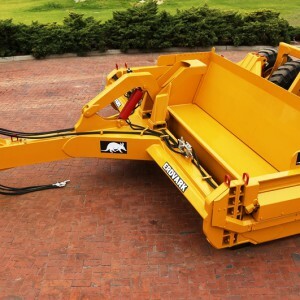 The Erdvark EJM Ejector Scraper is an all-rounder that ideal for contracting, maintenance and building of roads and dams as well as the construction of irrigation and crop production lands. The Heavy duty Ejector Scraper has cutting-edge integrated hydraulics for the Ejector built into the rugged body construction. No tipping of the load body makes the Scraper ideal for heavy and tuff soils. Ejecting of the load over cutting edge ensure a level layer of dumped soil. The newly improved split gate gives a better view during operation while loading and offloading soil.